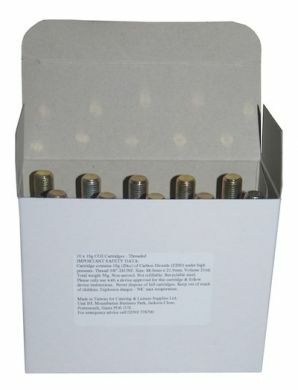 Case of 300 x 16g threaded Co2 cartridges. Packed in unbranded packs of 30 x 10 packs per case. Manufactured in Hungary by Liss Patrongyarto Kft. 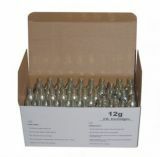 Our CO2 Cartridges are made of 100% recyclable steel, they are zinc coated, not refillable and contain approximately 16 gms pure CO2 under pressure.